If planning to use encryption key encryption, ensure that you configure the following permissions. For testing purposes, it is also possible to use the built-in Cloud KMS Admin role. 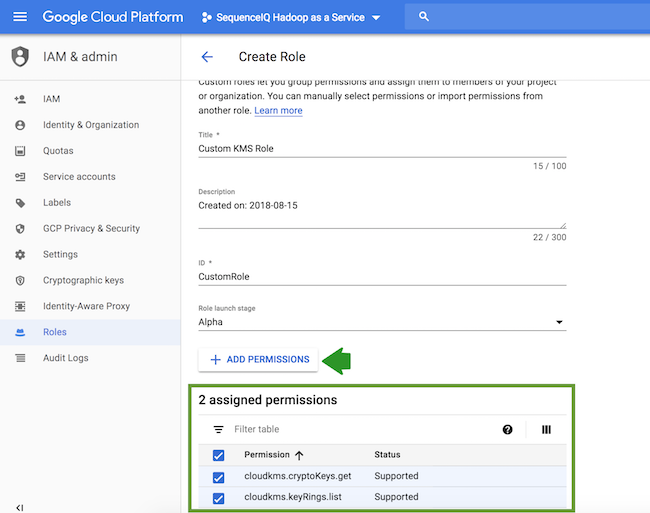 Assign this role to your Cloudbreak credential’s service account. 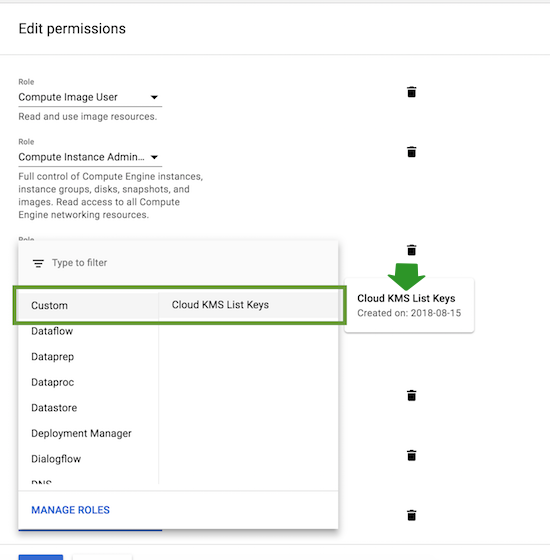 Assign the Cloud KMS CryptoKey Encrypter/Decrypter role to the Compute Engine system service account as described in Protecting resources with Cloud KMS Keys in Google Cloud documentation. This is required by Google Cloud.